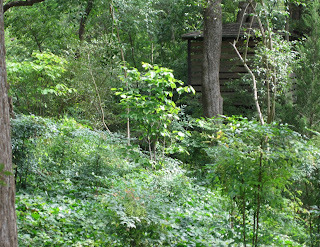 The wilderness on the edge of a Dallas garden. What was your garden before it was a garden? If you did nothing in your garden, the weeds, trees, bugs, grasses, animals, would just go wild. Like a teenager whose parents have left him alone while they go on an extended vacation, the wilderness will invite everything wild to come on in if there is no one at home to tend the garden. While wild works in some garden situations, few people look at a complete wilderness and think “there’s a garden”. Sure, there can be a bit of wilderness in a garden, and probably should be, but it can’t be the whole garden. That’s the first lesson I learned about having a healthy garden, about achieving hortus sanus. You have to remember that your garden was once a part of the wilderness and the wilderness wants your garden back. The weeds want to grow there, in any bare spots they can find and even in places that aren’t bare. They will grow in the cracks of a patio, in the sludge left in the gutter, and even in a half-empty bag of top soil. The rabbits want to eat there, and so do squirrels, chipmunks, voles, raccoons, mice, and unfortunately for some, deer. All of these wild animals have an appetite not just for weeds but also for the most expensive, most difficult to find, most treasured plant that you have personally planted in the middle of the wilderness you want to turn into a healthy garden. The bugs want to eat, sleep and make merry in your garden, too. And not just good bugs, which any gardener would welcome as a key to hortus sanus, but all kinds of bad bugs, too. Once we accept that the wilderness is always there in the background, waiting for its chance, then we aren’t surprised, frustrated or disappointed when we leave our gardens for a week or so and return to find that the wilderness is creeping back in, trying to take over again. 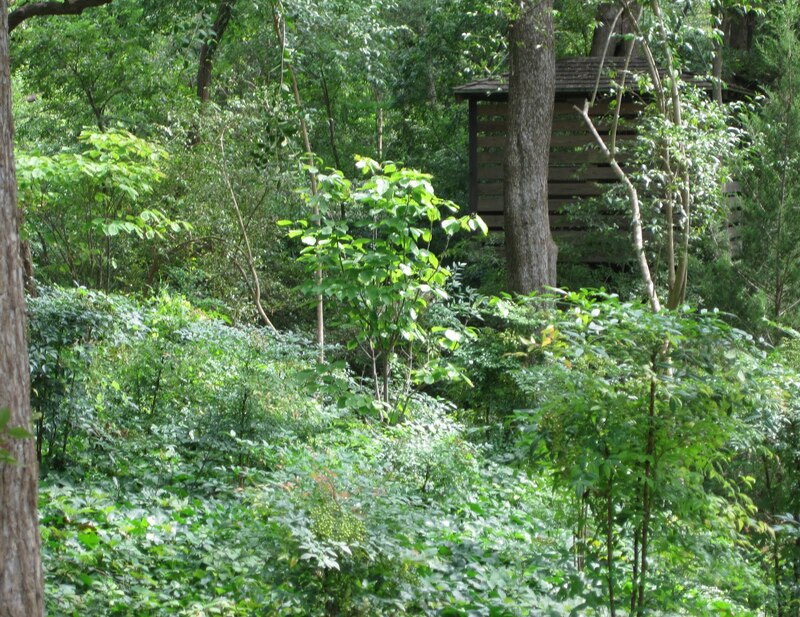 It is futile to try to completely remove the wilderness from your garden. In fact you shouldn’t. You want some of that wilderness – birds, bees, bugs, even a few bunnies - because they are part of a healthy garden. But feel free to fight back some of that wilderness – the weeds, the damaging predators, anything that wants to take over the garden completely. Finally, when you are out there slaying weeds and other garden demons, remember that fighting back against the wilderness taking over your garden is not the same as fighting Mother Nature. Do not fight Mother Nature, do not try to break the laws of nature. That would be very unhealthy. It is futile and frustrating and you will fail. But the wilderness, it can be tamed a bit. Knowing that a big part of gardening is taming the wilderness and accepting that we can never tame it completely, is one of many steps towards a healthy garden, hortus sanus. Truer words were never written, dear Carol! How quickly the wilderness will reclain is space left alone by the gardener demonstates the awesome powers of nature. It is happening to my neighbor's garden as his health and attention limit his time spent fighting it back. We must find the balance while knowing full well that the wilderness always wins in the end. It can outlast us. In a welter of great posts on May Dreams Garden, Carol, this is a truly great post: full of wisdom and a joy to read. You remind me that "sanity" comes from "sanus" -- a very healthy attitude. That wilderness is taking advantage of the old addage only the strong survive during this drought. There is hardly a blade of grass in the lawn. Mostly there is wild strawberries and other creeping weeds. Along the fence line there is an army of "weeds" awaiting to be removed as soon as we get some rain so they can be completely removed. Great post as it is oh so true. Carol, you are always so wise. I left my garden for a year - and the poorly maintained perennial border I left was totally gone when I returned. Time for a re-do of major proportions. Now as I am older - and older - I am trying to retain my sanity with a new recognition of the power of the wilderness. You have put into wonderfully eloquent words my philosophy of gardening in my habitat garden. I'm going to print this post out and keep it on my desk so that when I get frustrated with weeding and stink bugs I can read it again and remind myself of what I am doing here. I only wish my garden had been wilderness before I made it a garden. It was a dumping ground for construction debris, and before that, a dairy farm, so any of the prairie that had been here has been permanently eradicated. The weeds here are all exotics, except for the occasional hairy aster or goldenrod (which really aren't weeds, but are wildflowers) and the stupid seedling box elders. A great post! I am facing the problem of plenty- plenty of weeds, after the monsoon rains, and was feeling rather disheartened. This post has put the spirit back into me. ...and the wilderness wants it back. It's even trickier when one sets out to make a wildlife garden. The lines blur, but trails and paths still lead the viewer to think 'garden' rather than 'grown up weeds'. Add to that a woodland garden theme or a native garden and you almost have to tell people..'now this IS a garden'. I love your creative posts! It gets me thinking.